It’s been a year since law enforcement agencies in Florida began to crack down on “pill mills” that were responsible for the widespread distribution of prescription painkillers like oxycodone (marketed under the names OxyContin, Roxicodone and Oxyfast). This week, Governor Scott is calling the efforts of regional law enforcement teams a success, with 213 pill mill clinics shut down in the past year. The Governor also stated that nearly half a million pills were taken off the streets and more than 2000 drug-related arrests were made. Despite this impressive arrest record, Florida still appears to have more work to do in ridding itself of its prescription drug problem. The number of statewide deaths from prescription drugs dropped only 8 percent between 2010 and 2011. Prescription drugs still kill more people than illegal drugs in the state. Florida Attorney General Pam Bondi admits that Florida still has a long way to go in the fight against prescription drug abuse. By 2010, Florida had earned a reputation as the nation’s center for illegal prescription drug sales. Almost 90 percent of all OxyContin sold in the U.S. was purchased by Florida doctors. Prosecutors estimated that doctors in the state dispensed 10 times more oxycodone than all the other states combined. Drug addicts and dealers from out of state flocked to more than 1,000 Florida pain clinics, earning Interstate 75 the nickname Oxy Express. The resulting prescription drug problems were especially acute in the poorest regions of the south, including West Virginia and Kentucky. The lack of a state-run prescription drug monitoring problem in Florida contributed to the state’s prescription drug problem. The lack of oversight made it relatively easy to obtain multiple prescriptions by visiting multiple doctors, a practice known as doctor shopping. Florida also allowed doctors and clinics to distribute drugs directly to patients, leading to the proliferation of clinics that distributed drugs without medical cause. It is now illegal in Florida for doctors to dispense addictive medication from their offices or clinic and pharmacies are being monitored for their drug sales. In addition to shutting down pill mills, law enforcement agencies in Florida arrested 34 doctors in 2011. In the past, 93 Florida doctors where on the list of the top 100 drug dispensers in the nation. By the end of 2011, only 13 made the list. Although Florida is declaring a victory over pill mills, the crackdown on pain clinics is reported to have caused many illegal drug dispensaries to move to other states, including Georgia and Kentucky. The Oxy Express may still be thriving, but now traffic may be moving in the opposite direction. In a move that could set a nationwide precedent, CVS recently sent letters to a group of high-prescribing Florida doctors advising them that the company’s pharmacies will no longer fill their prescriptions for painkillers and other dangerous drugs. According to the Orlando Sentinel, the action has been described as blacklisting by some of the doctors and at least one doctor who received a letter has responded with legal action against CVS. Setting a Precedent for the Good of All! In a prepared statement, CVS stated that it informed a small group of Florida doctors that their prescriptions for Schedule II narcotics will no longer be filled. The company was not specific about how many doctors have been notified but stated that the action was taken in the interest of keeping controlled substances out of the wrong hands and preventing drug abuse. 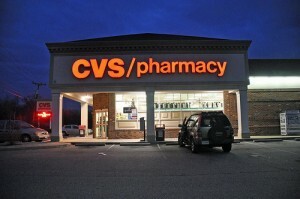 CVS operates more than 700 pharmacies in Florida. Due to a lack of prescription regulation in Florida, pain clinics have sprouted up throughout the state that freely dispense prescriptions for addictive prescription drugs like oxycodone (OxyContin) and hydrocodone (Vicodin). Drug abusers and dealers from the eastern portion of the U.S. converge on Florida for easy access to prescription drugs. Out of the top 100 doctors who wrote the most prescriptions for oxycodone in 2010, 90 were from Florida. Florida law enforcement has targeted gangs of drug dealers who obtain prescriptions from pain clinics and sell prescription drugs on the street, but this the first action that a major pharmacy chain has taken to combat the prescription drug problem. The Sentinel obtained a list of doctors who received letters from CVS and reports that many doctors on the list are already facing criminal charges for prescribing drugs for non-medical reasons. The Florida Department of Health has also recommended that some of the doctors have their medical licenses suspended or revoked because of unethical practices. One of the doctors, Riyaz Jummani, is accused of prescribing more oxycodone in the first quarter of 2010 that all of the doctors in California during the same period. Orlando attorney Gus Benitez, who represents a doctor who is suing CVS for defamation of character, told the Sentinel that CVS should focus on making a profit rather than on cutting sales by limiting prescriptions for addictive drugs. Benitez’s client, Dr. Sylvester Hanna, owns a pain clinic in Orlando. Florida Governor Rick Scott signed a landmark bill last week that is aimed at cracking down on the so-called pill mills that have been freely dispensing addictive prescription drugs in his state. Law enforcement officials and residents of southern states hope that the new law will put an end to the OxyExpress, a nickname given to Florida’s Interstate 75. Drug dealers have been using highway to transport narcotic prescription drugs like OxyContin throughout the state of Florida and north to neighboring states. The Governor has been under intense pressure to do something about pill mills – the name given to pain clinics that have popped up all over the state and have made it easy for drug abusers and drug dealers to obtain powerful prescription narcotics. Florida has become ground zero for the nation’s prescription drug epidemic, with seven people dying each day from prescription drug abuse. The most-abused prescription drug in the nation is OxyContin (the brand name for oxycodone), a time-released medication that was designed to provide long-lasting relief for people who suffer from chronic pain. Abusers crush OxyContin tablets and then snort or inject the drug, bypassing the time-release mechanism in order to experience an intense high that has been compared to heroin. Soon after the bill was signed, federal authorities executed a search warrant on the offices of a doctor who had prescribed OxyContin more than 300,000 times in the past year, exceeding the total number of prescriptions written for the drug in the entire state of California. • Tougher criminal penalties for doctors who overprescribe drugs. • Support for a statewide prescription monitoring database. • Tighter regulation of prescription writing and pain management. 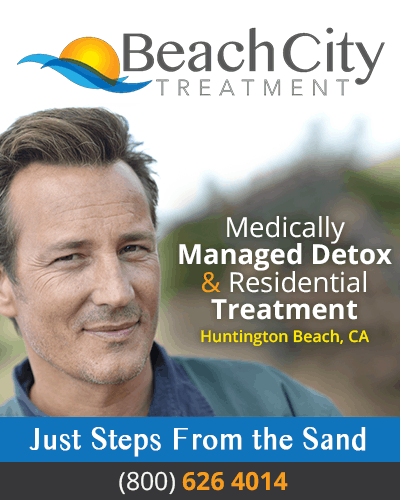 • Requirements that clinics must track patients who receive dangerous prescription drugs and watch for signs of addiction. • More tracking for wholesale distribution of controlled substances. • An additional $3 million for law enforcement agencies to support the new law. Florida’s new law comes on the heels of an announcement last month that the federal government aims to cut the abuse of oxycodone and similar opioids by 15% over the next 5 years through education, law enforcement and prescription monitoring databases at the state level. Florida has become ground zero for the prescription drug epidemic in America. In communities like Fort Lauderdale, once a popular tourist destination and yachting center, drug dealers have set up shop in strip mall “pain clinics.” Instead of selling crack or heroin, these dealers are pushing powerful prescription drugs like oxycodone, a narcotic painkiller that is marketed under the names OxyContin, Roxicodone and Oxyfast. The pain clinics, referred to as “pill mills” by law enforcement officials, make it easy for addicts to obtain powerful prescription narcotics. National Public Radio recently reported that doctors in Florida write 10 times as many prescriptions for oxycodone as all the other U.S. states combined. Florida pain clinics operated by disreputable physicians attract people from all along the eastern seaboard. A typical visit to one of these clinics consists of a quick exam and a prescription for a painkiller like OxyContin. Many clinics are also equipped to fill prescriptions. Drug addicts and dealers who sell oxycodone on the street are able to walk out of a clinic with oxycodone in a matter of minutes. Florida is not the only state impacted by the proliferation of pill mills. States to the north are experiencing their own prescription drug epidemics due to the ease of transporting narcotic prescription drugs obtained in Florida. Interstate 75 has become notorious as a route for drug traffickers and has earned the nickname the “oxy express.” In hospital emergency rooms along I-75, visits for prescription drug overdoses are a daily occurrence. Compounding the problem for Southern states like West Virginia and Kentucky is the fact that prescription drugs from Florida are being abused by some of their poorest residents. Many of the states’ unemployed are attempting to make a living by dealing prescription drugs. There has also been an increase in crime as poverty-stricken addicts turn to robbery and fraud to support their habit. Why is it so easy to obtain prescription drugs in Florida? The state lacks a functioning prescription drug monitoring system that would limit people who obtain multiple drug prescriptions by “doctor shopping.” Currently, anyone can visit doctor after doctor and obtain prescriptions without fear of detection. A prescription monitoring system would also alert officials to doctors who are writing an excessive number of prescriptions for painkillers and other dangerous drugs. Many Florida doctors who operate pill mills could be stopped if a monitoring system were in place. Although Florida’s state legislature passed a bill that would establish a prescription drug monitoring system, they didn’t allocate funds to maintain it. When a private foundation tried to raise funds for the system, Florida governor Rick Scott spoke out against it, calling the system an invasion of privacy and a waste of money. 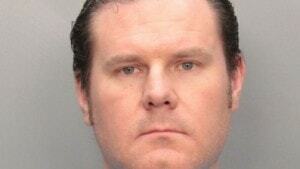 This leaves Florida law enforcement authorities with their hands tied. In addition to conducting sting operations in pain clinics and arresting prescription drug dealers, they are attempting to convince the governor of the need for regulation and monitoring of prescription drugs. Although we predict that the source for illegal Oxys and Vicodin pills will gravitate to our neighbors to the north and south, it is really good to see a criminal “doctor” go down. An excellent article on Fox News gives a first person account of the “takedown” of one Dr. Jeffrey Lipman and the Midtown Medical Clinic. The article describes the interrogation of the patients-in-waiting and some shocking descriptions of Midtown’s policies. For instance, patients pre-paid in cash for their doctor visit – a requirement to be a patient of Midtown. Another places that “cash only up front” is required is by drug dealers who sell crack and heroin on the streets of our cities. Well, one of the reasons that Midtown was on the authorities’ radar was that customers were shooting up the OxyContin pills right in the parking lot – much to the chagrin of neighbors. What will happen to Dr. Jeffrey Lipman. We will follow up but the most significant penalty is that (if convicted) he will be stripped of his DEA prescribing ID. Will he do prison time? Possible, but not likely. The laws and regulations have not caught up with the deadly swath that prescription drug manufacturers have blazed through our society. We’re not going to use this opportunity to beat down Florida for having policies that allow it to single handedly supply much of the United States with OxyContin. 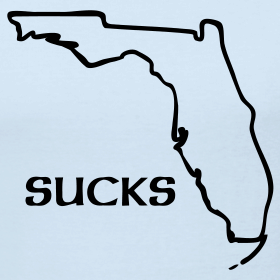 Instead, we’ll just thank Florida for the good job they did this week and wish them many speedy returns to the offices of corrupt physicians. To start the healing process and truly get grace back in your life, contact a treatment center and start asking questions.